In fashion, black and white create a timeless, classic and sophisticated look. It is no wonder the color scheme is gaining popularity in interior design. Here are a few of our favorite home designs that incorporate these classic colors. 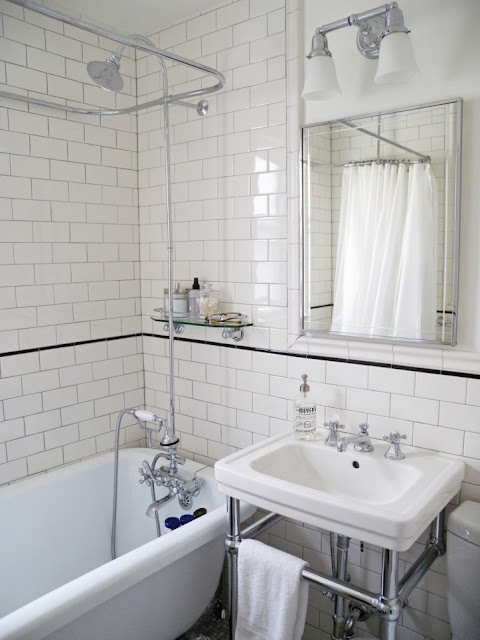 This Brooklyn bathroom went from an outdated 50s blue bath to a gorgeous vintage-modern design. 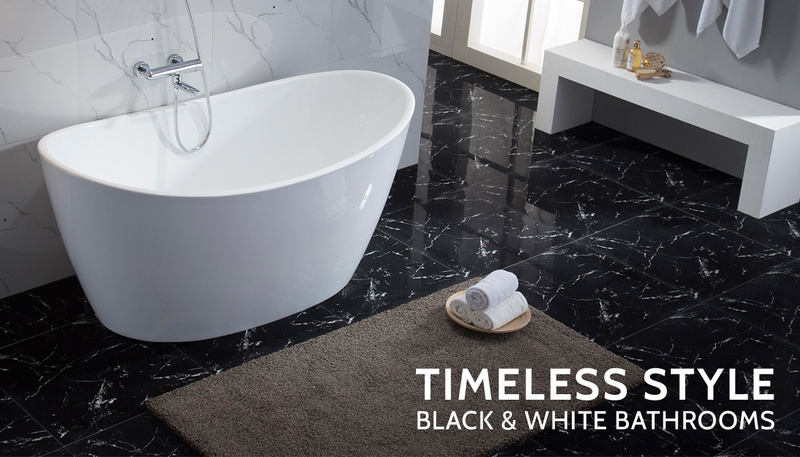 The white subway tiles are accented by thin, black pencil tile, dividing the wall space and adding an extra touch of class. In fact, the whole house has a great before and after design. Instagrammer Melinda Hawkes did a great job on this bathroom design. 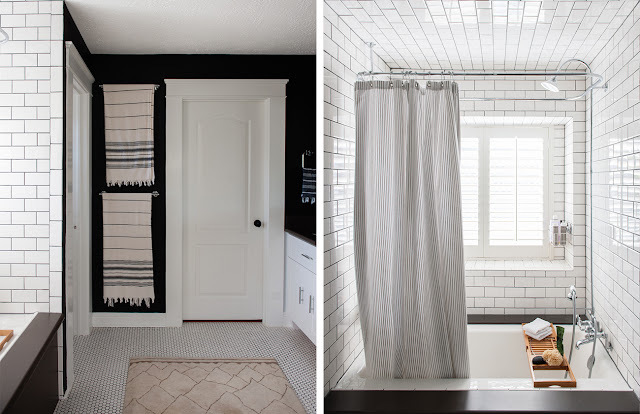 Her home tour featured on Brooke Christen’s blog shows a beautiful bathroom design utilizing white subway tile and a painted Randolph Morris clawfoot tub. The black vanity, bronze fixtures and marble tile help to create a harmonious getaway. A rising trend, along with classic white subway tiles, is bold tile prints. Tile comes in many different designs and colors but classic, vintage tile designs have gained popularity. 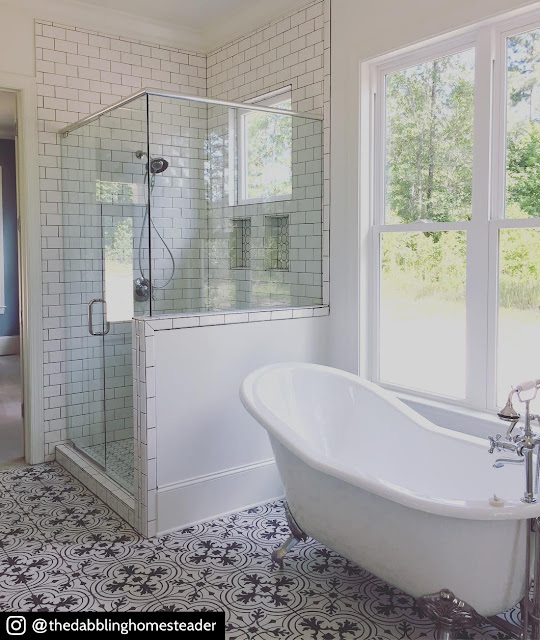 In this Alabama bathroom by Instagram profile @thedabblinghomesteader, the black and white pattern accents the slipper cast iron tub, completing the vintage farmhouse feel. 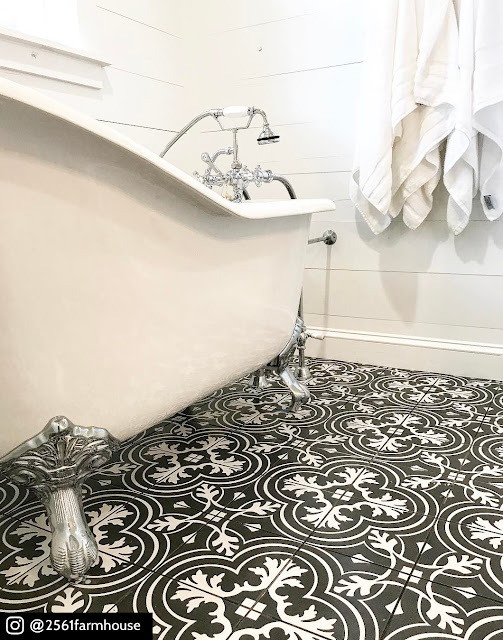 And if that tile wasn’t bold enough, you can go with the tile design which has a greater black to white ratio showcased in this farmhouse bathroom floor by Instagram profile @2561farmhouse. The last and certainly not least on our list is this bathroom design by Alexis Sassard. 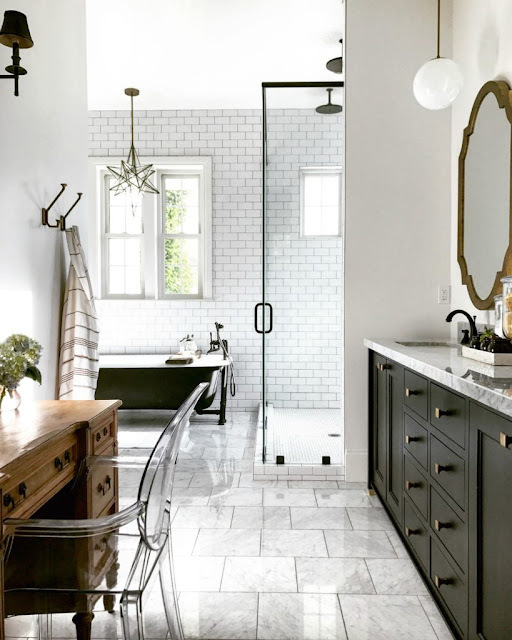 The black grout used on the subway tiles in the shower and hexagon tiles on the floor accent the black walls, white door, and white vanity. This color scheme is pulled into the closet as well, which is beautifully captured on her website. For more home inspirations, follow us on Instagram, Facebook, and Twitter.